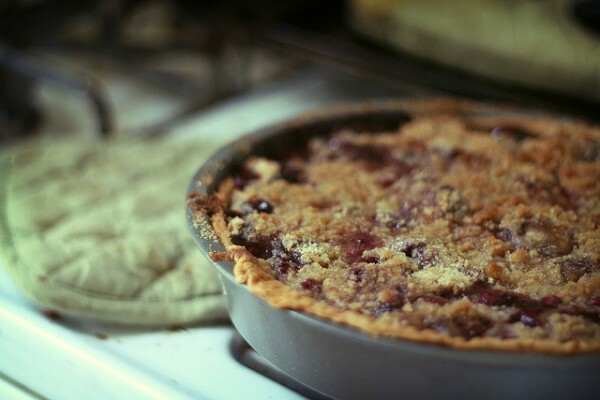 This week’s Local Food Notes includes National Cooperative Month, running with wine (no really), Boalsburg Farmers Market holds another Teaching Kitchen, and Way Fruit Farm apple pie contest. - We’re winding down National Cooperative Month, and as part of this event, there’s still two “Meet the Co-op” events at Webster’s Cafe for Friends & Farmers Cooperative. At these events you can learn more about how Friends & Farmers is planning to build a vibrant local food community with more access to local products. The first is Sunday, Sept 25, and the final is Wednesday, Oct. 28. Please go to the Friends & Farmers website for more information. - Running and wine may not seem like your average winning combo but Mount Nittany Winery is going to make it work this Sunday via their Hallow-Wine 5k at the winery. The run isn’t really that serious, as there will be three wine-tasting stops and it will end with a glass of wine for the runners, but there will be prizes for first-place woman and man and prizes for best costume. Plus, $5 of each registration fee will be donated to PAWS and Lymphoma and Leukemia Society. Find out how to register. - The Boalsburg Farmers Market will hold a fall version of their excellent Teaching Kitchen Cooking Demos on Tuesday, Oct. 28. Melanie Rosenberger and Stacey Budd of Friends & Farmers Co-op will be at the market to talk about fall vegetable prep and harvest preservation techniques. The following week (Nov. 3) will be the last week of the outdoor market, and they will close at 5:00 p.m. But that’s not the end of the market for the year, as the vendors will be set up at St. John’s United Church of Christ at 218 N. Church Street in Boalsburg for the winter. - Calling all bakers…Way Fruit Farm will hold their annual apple pie baking contest Saturday, Oct. 24. Entries should be dropped off at Way Fruit Farm today during normal business hours (8:00 a.m.-7:00 p.m.) or Saturday by 10:00 a.m. All entries should be baked at home with fresh apples and no store-bought crust or pie filling allowed. Judging will begin at 10:30.